Cheap flights to USA: Miami for only €426! KLM, Delta and Air France now offers really cheap flights to USA from Germany. 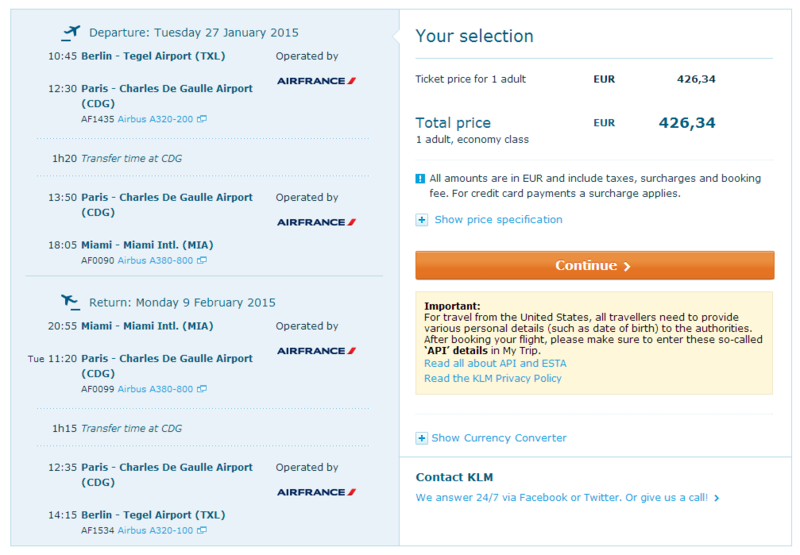 Return ticket from Berlin to Miami will cost you only €426! You can also fly from any other airport in Germany served by KLM for a good price, for example from Hamburg (475€), Düsseldorf (449€), Stuttgart (441€) or Hannover (483€). This price is available for travel dates between January and March. 23 kg luggage is included in the ticket. Book your tickets directly through KLM to get this great price! « Cheap flights to Sri Lanka: Colombo from Prague for €416!